Brooklyn versatile wordsmith, Casanova releases a new single titled ‘2AM’, off his upcoming project “Free At Last” EP. 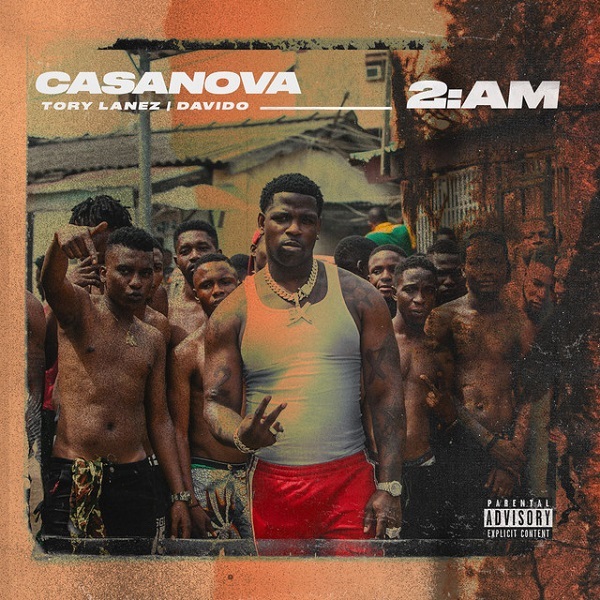 The new single ‘2AM’ features Canadian rapper, Tory Lanez and Nigeria’s superstar/DMW leader, Davido. With production credit from 30Roc. Roc Nation recording artist, Casanova is set to drop his body of work, “Free At Last” EP in February, complied with 6-tracks featuring Tory Lanez and Davido. In addition to all this, the visual to Casanova’s new single has been shot, it had several scenes from Shitta, Lagos, Nigeria while on his visit to Motherland AFRICA couple of months ago. Also, the video has clips of Casanova holding a Hyena with some of his amazing fans in Nigeria. Video out shortly, stay tuned! !